Notes: * Consists of Medicare benefit spending on hospice, durable medical equipment, Part B drugs, outpatient dialysis, ambulance, lab services, and other Part B services. 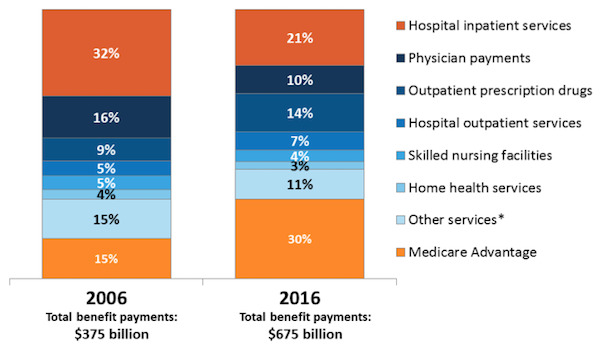 Data Source: Congressional Budget Office, June 2017 Medicare Baseline. This entry was posted in Data Watch on July 26, 2017 by Genevra Pittman.